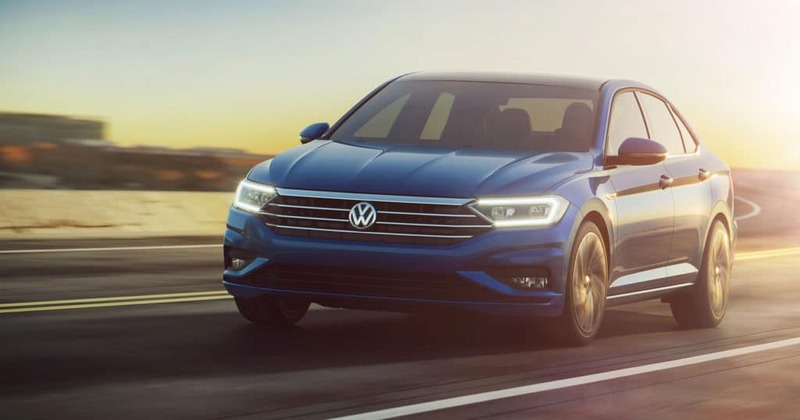 The new 2018 Volkswagen Jetta is an engaging, sophisticated sedan on sale now at Brazos Valley Imports. The Jetta has a lively standard 1.4L turbocharged engine. This engine not only delivers an extremely animated driving experience, but it also gets 28 MPG City and 40 MPG Highway. VW is so confident that you’ll love the 2018 Jetta that it provides a 6 year/72,000 mile limited transferable warranty. 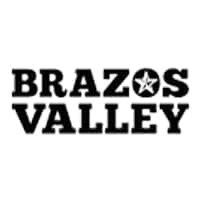 See a Brazos Valley Imports associate for more details. Let’s dive right in and check out what makes the 2018 Jetta so fun to drive. The Jetta showcases clean refined exterior lines and great design. The Jetta’s angled front fog lights perfectly complement its sleek front bumper. It has a charismatic silhouette with a sculpted side profile. Chose from up to eight luminous colors depending on the trim level. We like the Jetta in the Tornado Red and the Silk Blue Metallic. The 2018 Jetta has a diverse lineup of trims to consider. The Jetta has many great practical features that are competitively priced. First up is the Jetta S, the nicely stocked base model. It boasts LED daytime running lights, a rear view camera system, and a composition color touchscreen sound system for a dynamic audio experience. If you’re headed to the slopes this winter, consider the available cold weather package addition. Next is the fun Wolfsburg Edition which has a stylish Wolfsburg badge, sporty front bumper and special alloy wheels. The Jetta SE features a push-button start and a power sunroof. The SE Sport model combines several great appearance upgrades including a daring black rear spoiler, gloss black interior trim, and headliner trim. 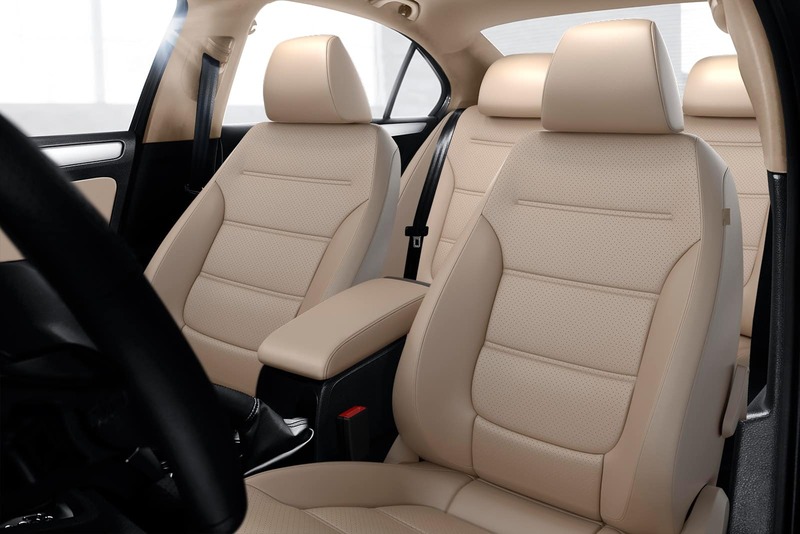 The Jetta SEL will impress you with its luxury premium enhancements. 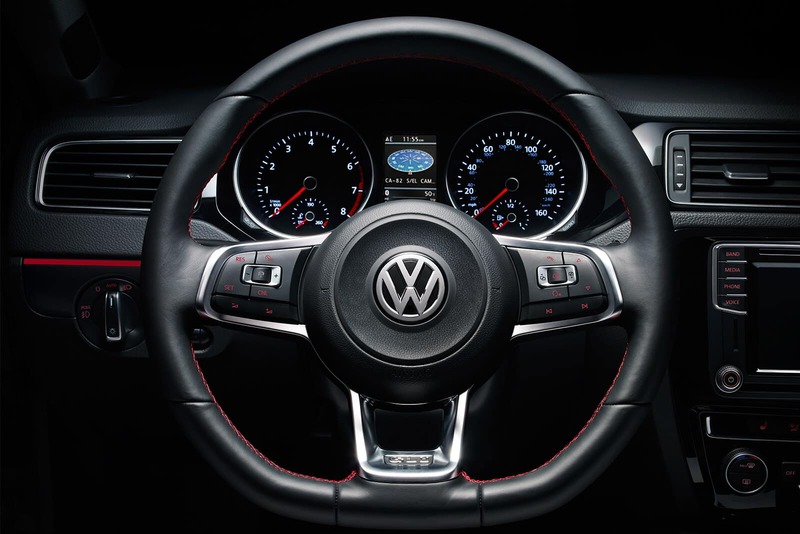 We love its dual zone climate control and powerful touchscreen navigation system. Finally, the Jetta GLI has a 2.0L Turbo engine, leatherette seats with red stitching detail, and expanded 18” inch Bathurst alloy rims. VW always maintains a focus on creating cars that are exceptionally safe. The 2018 Jetta Volkswagen has achieved a five-star overall safety rating from the National Highway Traffic Safety Association (NHTSA). There are also a number of driver safety features to help you feel more secure on the road. During your test drive, examine the available Adaptive Cruise Control, Blind Spot Monitor, Rear Traffic Alert, and more. The Jetta was designed with a rigid safety cage and front and rear crumple zones that direct energy away from the passenger cabin in the event of a crash. Brazos Valley Imports is proud to present the 2018 VW Jetta to the people of the greater Houston area from our Bryan, Texas location. Whether you live near College Station, Cypress, Brenham, or Centerville, our professional dealership staff can connect you to a vehicle that perfectly suits your needs. Stop by and review our deals on new and used imported vehicles.